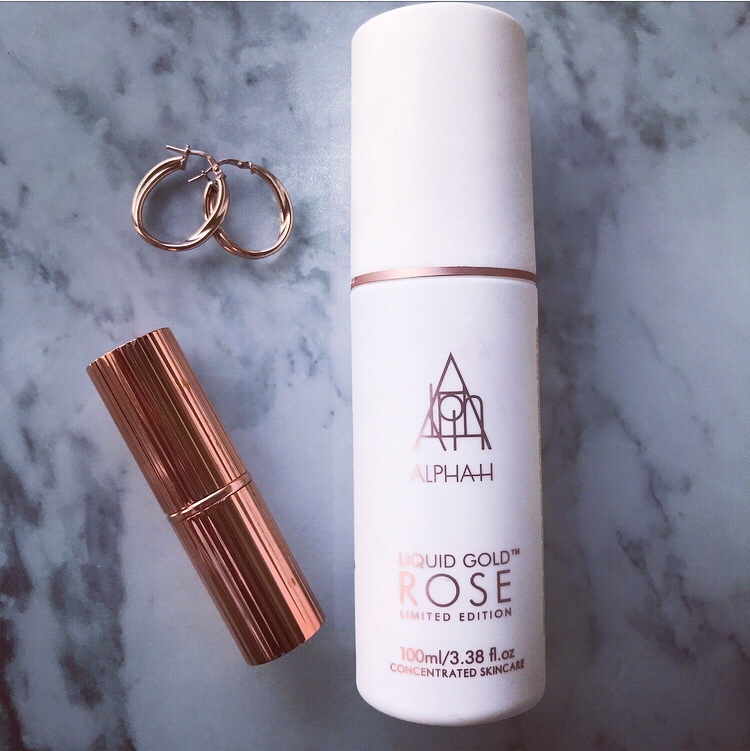 You might have heard of award winning and revolutionary Alpha-H Liquid Gold on Instagram or any blog. It’s an overnight facial which works in 20 minutes to resurface and transform skin. Its a strange product because it feels like a regular toner that you apply directly onto the skin with a cotton pad and leave on overnight without applying a moisturiser. Do this once or twice a week for an intense treatment or every other day with a moisturiser for a regular application. Its main ingredient is 5% nature-derived glycolic acid which is an exfoliator and mini peel which stimulates cells and melts the ‘glue’ that binds dulling dead cells to skin’s surface. Due to this always use an SPF with this product. It lowers the skin’s pH (from 5.5 to around 3), to stimulates cellular activity – accelerating repair and renewal processes, as skin works hard to re-establish its equilibrium. It also boosts elastin and collagen, penetrating deep within pores to eradicate spot-causing bacteria and resurfaces skin such as acne scars, dark spots and brown patches, so your complexion to make skin look even-toned and luminous. It brightens and revitalises tired, ageing skin, decreases wrinkle depth, enlarged pores, blackheads, blemishes, pigmentation, scarring and redness and improves texture and increases moisture. The limited edition Rose Gold version is all the above but contains aromatic botanicals Rose, Lotus and Orchid Petal extracts as well as moisture-binding ingredients to offer instant, weightless hydration. It also contains my favourite and wonder ingredient Hyaluronic Acid to hydrate your skin further. Yes…. BUT… the first time I used it, I woke up with a headache. It smells pretty strong and chemically with a hint of rose but after a few uses you get used to it and it’s totally worth the sacrifice. I have noticed that my already good skin does look brighter, feels softer and looks healthier, however, the product itself is a little too strong for me so I only use it twice a week and rarely without a moisturiser. I have pretty good skin but I would definitely recommend it to those who feel that their skin is tired, sun damaged, has wrinkles and lacks radiance. Not a product for sensitive skin but definitely for those who can handle their chemicals … it works.